Accessibility is important in video games. Even small additions—adjustable text sizes, for example, or subtitles—can make a big difference for someone who loves games but has vision problems or is deaf / hard of hearing. Every developer should aim to make their games as accessible as possible. The basics, like clear subtitles, are top priority, but giving players access to customizable controls and different gameplay modes is also vital. And then there are instances when games can be accommodating in ways you don't expect but turn out to be important nonetheless. A recent example popped up in the Monster Hunter subreddit, where a new player named "SiddyT" revealed Monster Hunter: World's wide range of weapon choices makes it much easier for them to enjoy the game in light of their mobility issues. It's everyone's sacred duty to mess up an Anjanath to the best of their ability. SiddyT, who has a form of muscular dystrophy, says "One of the biggest frustrations I deal with is hoping that new games I'm excited for will have controls that are accessible and easy. 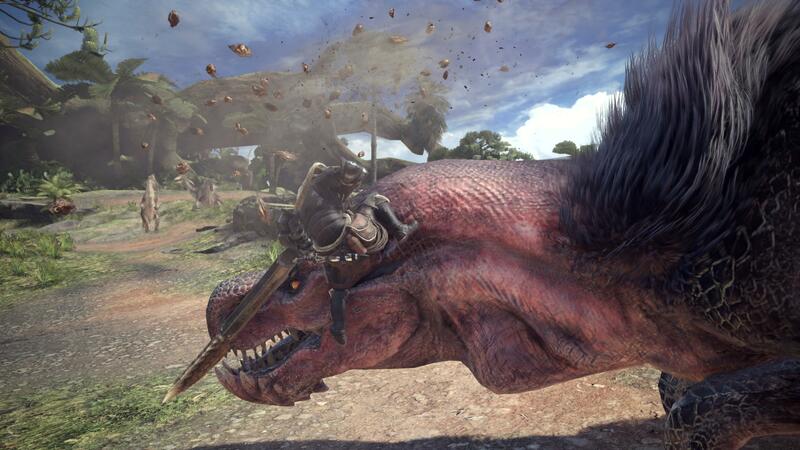 I was ecstatic to find out that for every difficult control [in Monster Hunter: World], like clicking in the sticks, had an alternative which I could actually press." But SiddyT upholds Monster Hunter: World's versatile weapon selection as the real MVP. "I feel like the concept of 'a weapon for everyone' couldn't apply more than in my circumstance," they say. "While there are weapons I can't use, I have a great sense of timing and can use the Great Sword and Switch Axe with ease. I thought that would be it though until I picked up the Dual Blades and realized how amazing those controls felt." SiddyT also thanked the Monster Hunter community for its help in learning how to handle weapons. Indeed, the Monster Hunter community seems to be made up of good eggs. Great eggs, actually. Not the smashed-up Kulu-Ya-Ku eggs you find on the forest floor. Tagged with Capcom,	News,	PlayStation 4,	Xbox One.